Is it possible to use a glass pan made of insulating glass in RFEM? Yes, you have to model the whole structure (discs, SDR and storage) directly in RFEM. 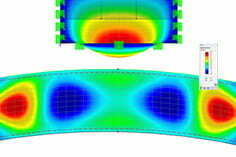 The detection of the slices can then be carried out by means of the " global calculation " in RF glass. The only difficulty here is that the loads from the climatic loads can not be applied automatically, but must be manually defined. 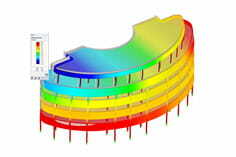 As an aid to modeling, the temporary model can be used.